As the Fountaine Pajot shipyard was found by a distinguished sailor and well-known competitor, Jean François Fountain, it would be expected them to produce fast yachts. The shipyard made its reputation among racing sailing boats from their foundation in 1976 until 1983 when the management decided o invest in the yachting market. 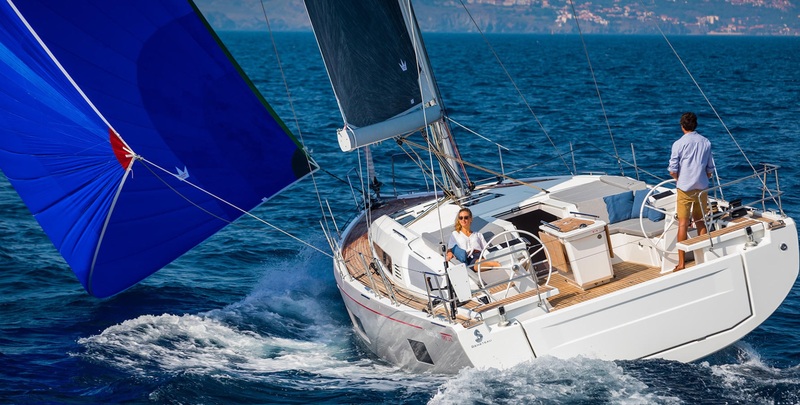 They focused mainly on catamarans in yachting market launching more or less successful models, intended to be sold to charter companies as well as to individuals. 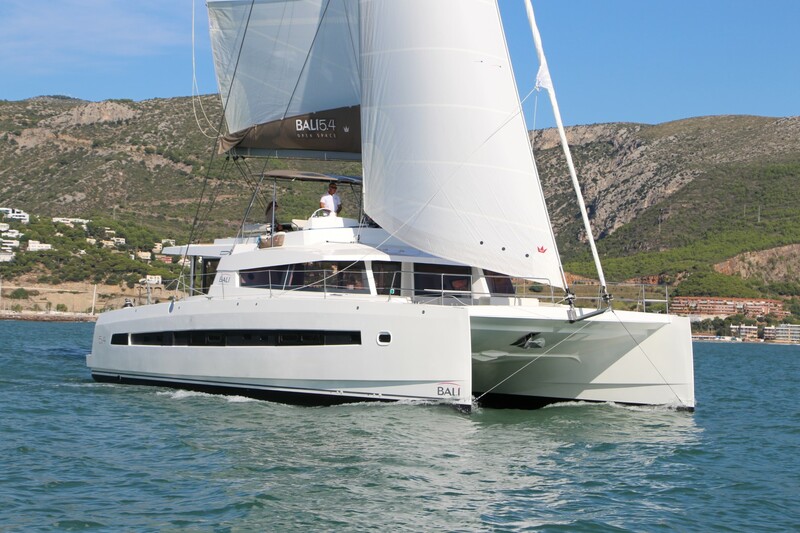 In 2004 the Fountaine Pajot Catamarans range got a new flagship, the Eleuthéra 60, born from a new collaboration with boat architects Berret-Racoupeau. This yacht was very quickly appreciated by the customers due to its sailing performances along with a high level of comfort. Its large cockpit with teak floor and a banquet-size dinner table amazed the crowd when the yacht was presented in 2004. The excitement remained when they entered a large saloon with another table, a sofa, chart table and a spacious kitchen behind the bar. The model I have sailed several times is equipped with four double bedrooms with own toilets and showers. The entire interior has a standing height while all bedrooms are equipped with independent LCD monitors, hi-fi systems and air conditioners. The boat is meant to sail with skipper and one mariner who found their accommodation inside bows of both hulls. The high comfort of this yacht is emphasized by large refrigerator and freezer along with dishwasher, laundry machine, ice maker, water maker and a large water tank. Mariner mentioned above is usually a great chef who takes care about the provision and keeps fridges full as well as customers’ stomachs. Such machinery is powered by a strong set of service batteries while a powerful generator hops in to support the system. Such set allows Eleuthéra 60 long distance sailing as well as the large autonomy while island hopping and partying in deserted locations. For those who like sails and the sound of wind excitement starts when a large mainsail gets to the top of the mast. The yachts starts show her temper when the skipper and his associate trim the 130 m2 mainsail and the 70 m2 jib. Those ‘curtains’ are supported by the 120 m2 gennaker if needed. When the crew is in a special mood, the performance like making circles around ‘standard’ charter catamarans is performed just to show that a catamaran could also be a sailing beast. This yacht is equipped with two mighty 75 hp Volvos, rarely used when cruising because it is disgraceful to use them if there is more than 8 kts of wind. They are usually pretty useful when maneuvering in narrow marinas – a lot of power is required to maneuver such tonnage and size. I found rather high bows quite useful while sailing and cutting rough sea, but they become problematic during maneuvers when side-wind gets their large surface. 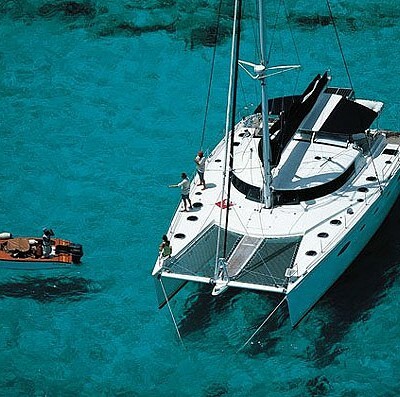 But, at the end of the day, isn’t it the case with all catamarans? Nevertheless, the list of advantages of Eleuthéra 60 is way longer than the one of her disadvantages which makes this yacht favorite one for those who like leisure, tough sailing with a touch of exclusivity.